Hockey Puck Display Holder with free engraving on brass plate. 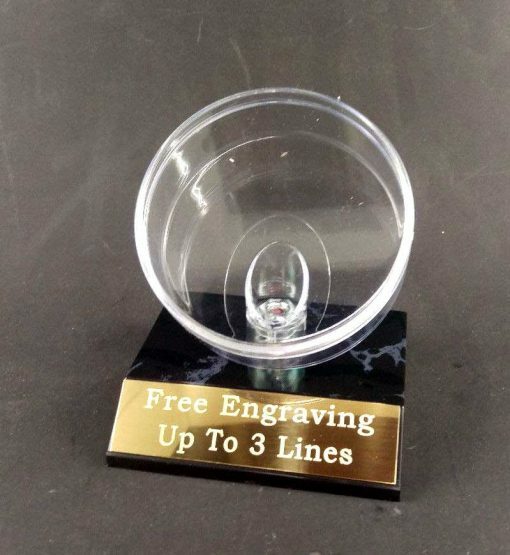 Display your winning hockey game puck or favorite autographed hockey puck in this custom engraved hockey puck display holder. The display enclosure and base are made of plastic and have a total height of approximately 5 inches tall. Free engraving on brass plate is included with the purchase.